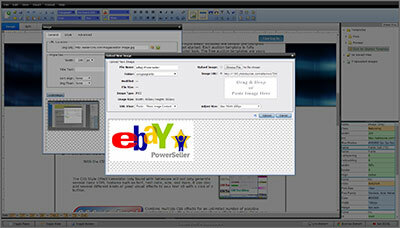 Easily design and create your own custom eBay Auction Templates with Sellercore HTML Auction Template Editing Software. Build your professional looking templates from scratch or edit existing free templates all with the easy word processor style interface that is pack full of one-of-a-kind auction tools. 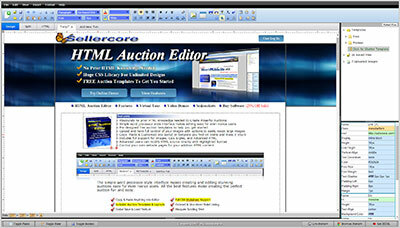 The Sellercore Software includes Free Auction Image Hosting and Free HTML Web Page Hosting. Take your custom template to the next level, stand apart, and make money on eBay! Easily upload and manage all of your auction images and files with the Sellercore Manager. A must have eBay seller tool. Easily incorporate and increase item sales with the most advanced CSS styling techniques. 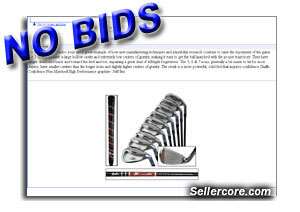 Give your Ebay auction templates that professional look that separates you from other sellers. Edit multiple auction templates with point and click styling that quickly gets the job done. Make Money On eBay By Creating Auctions That Sell! How to make money on eBay starts with a great auction template, this is no secret. Practically any item at a competitive price with a good listing will sell itself. 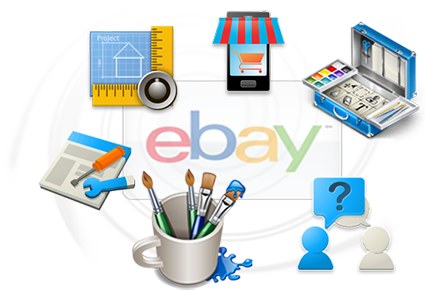 eBay makes it easy to make money by bringing millions of people a day to the doorstep of your eBay business. Capture your potential buyers attention and stand out from your competition by creating a visually pleasing and informative item description that sells! The best templates will make the most money, it's a no-brainer. With Sellercore, no HTML coding knowledge, or template design experience is needed to create beautiful custom and professional auction templates. All the easy to use design editing tools include a live preview and do all the HTML and CSS coding for you. You may choose to design your template from scratch, take advantage of a Sellercore pre-designed eBay template, or import template code from any other source... the choice is yours! Get the most out of the up to date template styling effects and code techniques with the full featured CSS editor. Sellercore is easy for beginners and powerful for advanced users allowing for and assisting with advanced designing techniques and direct source code editing with easy to read syntax highlighting. This is not a fill-in-the-blank template generator with limited options, Sellercore is a full online HTML editing software created around fitting your custom business look and design needs. 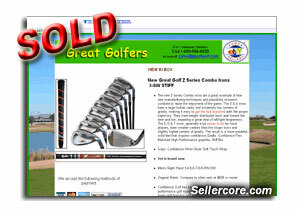 Sellercore is how you stand apart and make money on eBay, your design possibilities are endless! Enjoy the benefits of a professional and custom eBay auction page that sells. Sellercore is more than just a basic HTML editor, Sellercore is a full free eBay template design software and HTML listing editor built for eBay sellers placed all conveniently online. Make more money on eBay by increasing profit margins with free auction tools. Sellercore includes free image and graphic hosting you can use anywhere online, with options to downsize large images for faster and more user friendly web viewing. In addition to image hosting, take your images and create free image slideshows to show multiple images in the same controllable image space. The Sellercore software also allows you to store your HTML auction templates and files online for safe keeping and easy access to them from any computer or device. Choose to set your online files to public view and create your very own HTML web pages viewable by anyone on the web. Take your money making online business to a whole new level by offering your customers additional images and information on your own custom web pages, allowing you to look professional without overcrowding your item sale page. Generate extra sales and make money by creating a online pressence of your own. Simply register you Sellercore account and start enjoying these great features and more. The free registration also includes access to pre-designed eBay auction templates to help get you started fast. Over 657 Free eBay Templates & Auction Designs! Use Sellercore's Free eBay Templates as a fast and easy way to improve your visibility and increase your eBay listing sale potential. These high quality HTML auction templates are cross browser friendly and use the most up to date HTML and CSS coding techniques. All of our free templates are fully customizable and designed to quickly meet and match your auction listings and online business needs. Getting started is easy, simply choose an HTML template that matches your items category and select the Create Template button to open your design in the Free Sellercore HTML listing editor for instant access to begin editing your custom eBay template. Copy and Paste your favorite parts of multiple template designs to easy create your own unique look. These free listing templates are yours to use not only on eBay but anywhere online your HTML needs take you. Our template library is always growing so please feel free to contact us and request a template design or submit your own auction templates to add to add to our library. 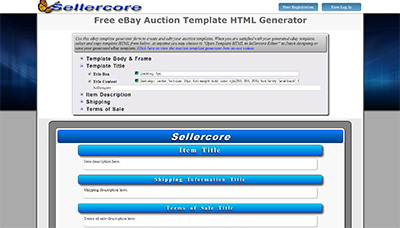 In addition to the Sellercore HTML Template Editing Software, we also offer a free eBay Auction Template HTML Generator that can be used independently or in addition to the editing software. Use the generator to help you get started with creating a money making design that best fits the needs of both your online business and items for sale. The online generator gives you an instant preview of your live code as you make changes to the color, size, and layout of your final design. With easy to use point and click editing, your design will be generated with up to date CSS coding standards that will allow for the best results across the web. When you are satisfied with your design, simply copy and paste the generated code directly into your eBay sale page or anywhere else on the web you would like to use it. You may also at any point migrate your code directly into the Sellercore editing software for more detailed HTML & CSS editing with a simple click of a button. The Sellercore free registration allows access to pre-designed templates, image hosting, image slideshows, and more. 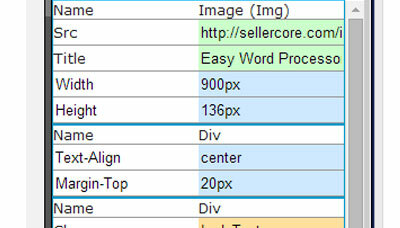 The Free Sellercore Editor & HTML Generator are here to help you increase sales and make money on eBay!